Last week, the Community Ethereum Development Conference wrapped up, and Ethereum co-founder, Vitalik Buterin, provided significant updates on the progress of Casper, the Proof of Stake (PoS) consensus protocol that is expected to propel the future of Ethereum. Ethereum is the most popular platform for launching new tokens through ICOs, and in doing so, has taken a prominent role in the expansion and maturation of the crypto economy. Etherscan counts more than 81,000 ERC-20 token contracts on Ethereum’s platform, and ICOs, many of which are connected to Ethereum, have raised almost $7 billion already this year. The Casper initiative has been in the works for years, but Buterin’s comments bring a tangible start to the transition process. Like Bitcoin, Ethereum’s blockchain is powered by a Proof of Work (PoW) consensus protocol that proved to be incredibly effective at securing the network and maintaining its lauded distributed ledger. Although PoW is a nuanced protocol, it’s primarily known for the mathematical puzzles that miners compete to complete. The first one to finish a puzzle is rewarded with newly minted digital currency. This process is becoming increasingly lucrative as the price of digital currencies soar, but it’s also progressively more taxing on the computers that solve these puzzles and on the energy grid that powers the miners. Buterin and other blockchain developers have long expressed concerns about PoW’s energy consumption and its limitations as a scalable protocol. For instance, with enough computer power, a single entity could disproportionately control the blockchain. I may implicitly comment indirectly, eg. "PoS is better than PoW", but the goal will be to lay out what I think are the goals that ethereum is/should be trying to optimize for. It's up to each user to decide their priorities. In January, Ethereum rolled out Casper’s Testnet, and crypto investors responded by driving up the price of Ether beyond $1,000 for the first time. Last month, more details emerged on the algorithm, formally known as Casper FFG, that will propel the network’s transition to a PoS (proof of stake) model. 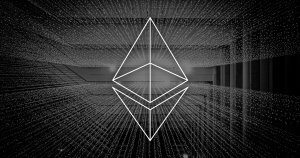 However, the price of admission is pretty steep – according to Buterin, users will need 1,500 ETH to participate in Casper staking, which over $1.1 million USD at today’s prices. The network is requiring such a high access price because it can only accommodate a relatively small number of nodes. However, sources report that Casper can accommodate a higher number of nodes after the sharding is implemented. The user’s initial Ether contribution is stored in a smart contract, and PoS rewards are paid out according to the user’s initial contribution. The higher the initial input, the more a user is paid for their efforts. Based on an initial stake of 10 million Ether, Buterin estimates that a node that’s continuously online could earn returns as high as 5%. Interestingly, with a PoS concept, nodes are rewarded for connectivity, but they are also punished for being inactive. What’s more, the Casper protocol punishes users for things like staking pools and double voting on transaction accuracy. It’s possible for users to lose their entire staking deposit if they are caught doing these things. As the network continues to progress, the cost of admission should diminish. Behavior norms will continue to solidify, and Casper appears poised to find its way as the engine that powers Ethereum’s network.